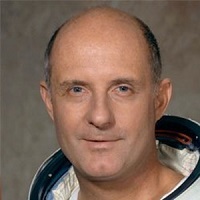 WASHINGTON (NASA PR) — Lieutenant General Thomas P. Stafford, USAF, Ret, is the winner of the National Space Society’s 2017 Space Pioneer Award in the Historic Space Achievement category. This award covers his service in the Gemini, Apollo and Apollo-Soyuz programs. In particular, the flight of Gemini 9A on June 3, 1966, was 51 years ago. The National Space Society invites the public to join them in presenting the Pioneer Award to General Stafford on Saturday, May 27, 2017 at the 36th NSS International Space Development Conference® (isdc.nss.org/2017). The conference will be held in St Louis, Missouri, at the Union Station Hotel, running from May 25-29, 2017. Thomas P. StaffordThomas Stafford graduated from the U.S. Naval Academy in 1952 but quickly became a US Air Force Officer. He graduated from the Experimental Test Pilot School in 1959, and then held leadership roles in the Air Force, including being a flight test instructor and creator of flight test manuals. Then in 1962, he was selected for the second group of U.S. Astronauts. Three years later he flew on Gemini 6, which performed the world’s first space rendezvous. Then he flew on Gemini 9A, which is memorable for the “Angry Alligator” appearance of the launch shroud on the Agena’s docking adapter. The failure of the release system prevented the docking which was a major flight objective. He also flew on Apollo 10 on May 18, 1969, the second flight to reach the Moon, paving the way for Apollo 11. His last flight was as U.S. Commander for the Apollo-Soyuz Test Project on July 15, 1975. His leadership has continued after his retirement from the Astronaut Corp in 1975, as he served on the Space Policy Advisory Council 1990-91, and continues to serve as the Chairman of the NASA International Space Station Advisory Committee. NSS Space Pioneer AwardThe Space Pioneer Award consists of a silvery pewter Moon globe cast by the Baker Art Foundry in Placerville, California, from a sculpture originally created by Don Davis, the well-known space and astronomical artist. The globe, as shown at right, which represents multiple space mission destinations and goals, sits freely on a brass support with a wooden base and brass plaque, which are created by the greatly respected Michael Hall’s Studio Foundry of Driftwood, TX. NSS has several different categories under which the award is presented each year, starting in 1988. Some of the recent winners of Space Pioneer Awards include Elon Musk, Ray Bradbury, Robert Bigelow, Apollo Astronaut Russell L. Schweickart, Dr. Michael Griffin, and the Rosetta Mission Team.